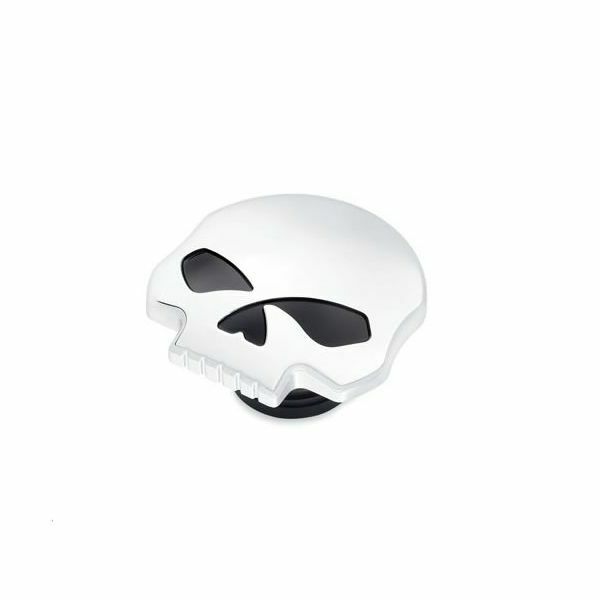 Add a little attitude to your ride with the Skull Fuel Cap. 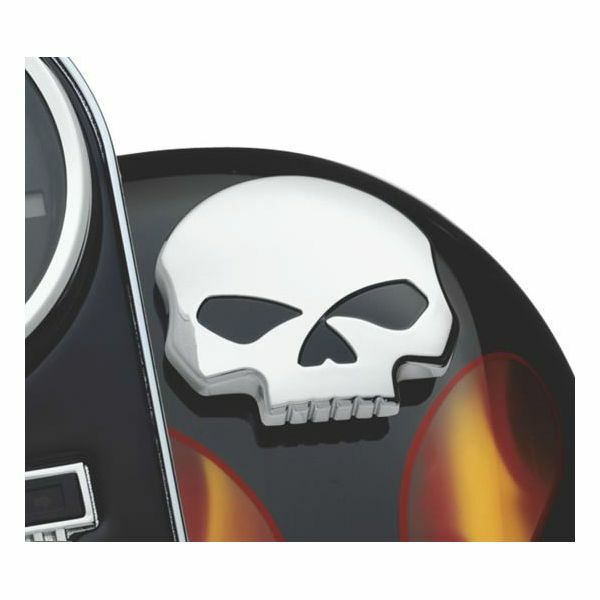 Fits '92-later XL and Dyna® (except '04-later FXD, FXDX, '05-'06 FXDC, '07 FXDSE), '00-later Softail® models (except FXSTD, FXSTSSE/2), and '94-later Road King® models. 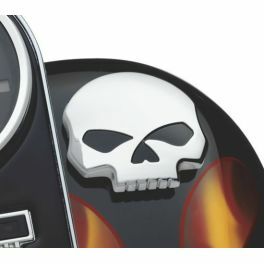 Does not fit with Low-Profile Chrome Fuel Tank Console P/N 71208-07. FXSBSE requires removal of stock flush mount trim ring.